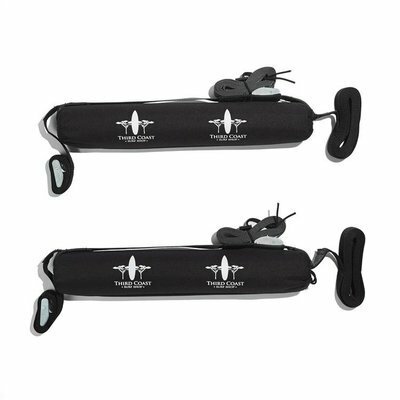 Third Coast Surf Shop's Quick Strap Car Soft Rack is designed to be an all around non-permanent rack system for your car. It installs quickly and offers the safest way to transport your boards to the beach if you don't have a permanent rack system. 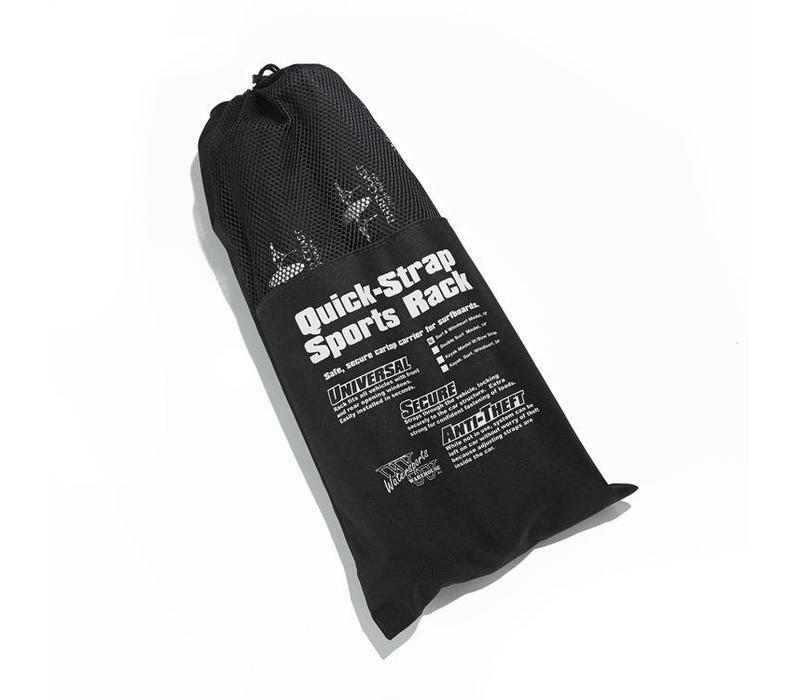 Designed for vehicles without a factory rack, the Quick Strap system sits on the roof of your car and securely loops and secures through the door openings and inside the vehicle with a 600lb cam buckle. Loop straps hold your load on top of the pad and cinch down with the rust-proof 600lb cam buckle incorporated into the strap. The straps have protective pads to keep the buckle off your board. 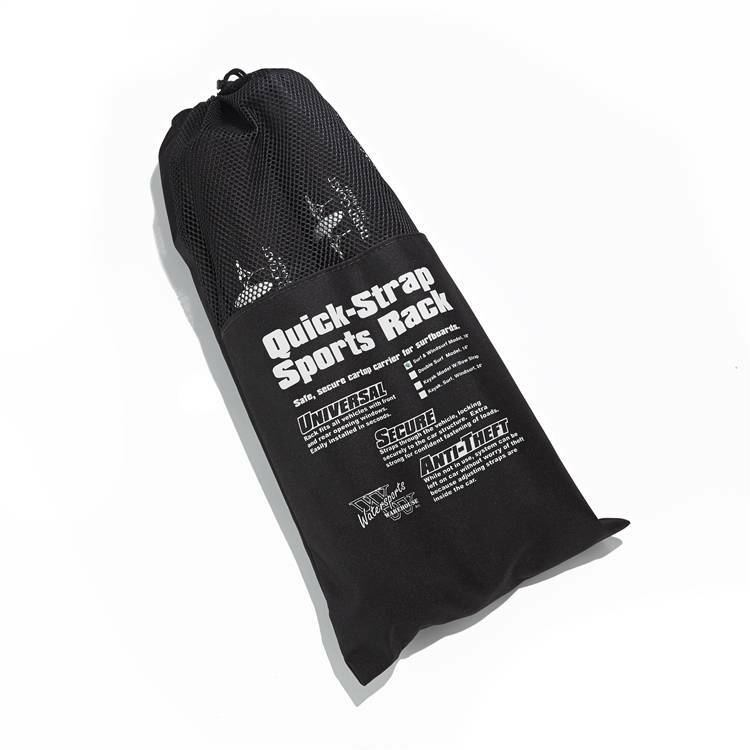 The Quick Strap system is designed to hold up to three shortboards, three longboards, or one to two stand-up paddleboards (depending on width). 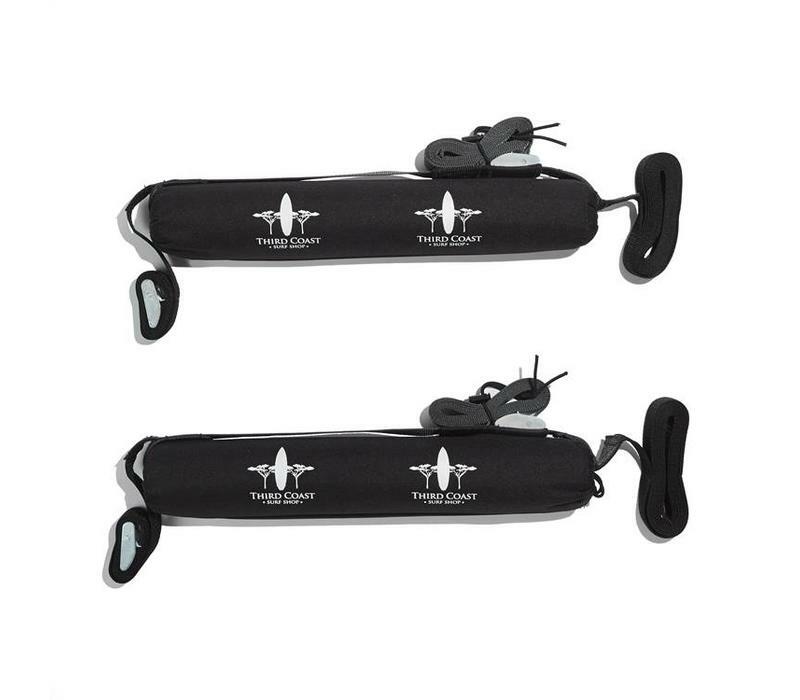 Third Coast recommends that you do not load more than two boards onto any non-permanent racks, as vehicle speed and board weight can affect the way the straps hold. Our racks are incredibly safe and effective, but always use common sense.